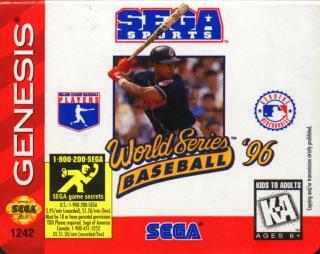 PREMISE:          Sega's in house baseball sim. can find any of EA's Triple Play series. An above average baseball title. Better than the Triple Play Series including Triple Play Gold. My personal favorite was Tony Larrusa Baseball. 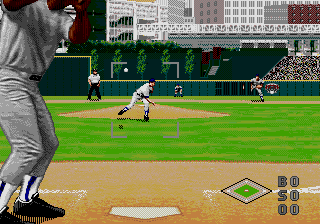 I have yet to find a Great Baseball game on the Genesis. 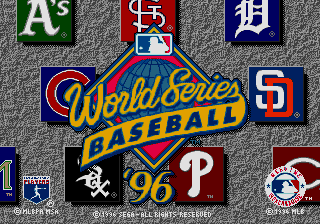 Best baseball game on the genesis. I played ball in high school for 3 years and this one beats ANY triple play variation. Blue Sky software developed a gem. This is my favorite out of all the MD baseball games for 2 reasons, the batting cursor, and the physics of the ball off the bat for fielding. Also the '95 version ( As far as I know )actually utilized the disabled list.